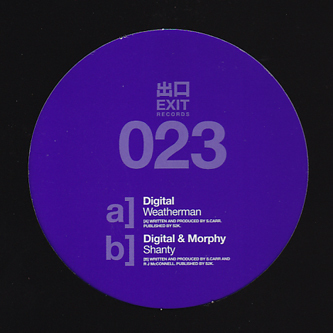 Deep and deadly halfstep D'n'B from master craftsman, Digital. 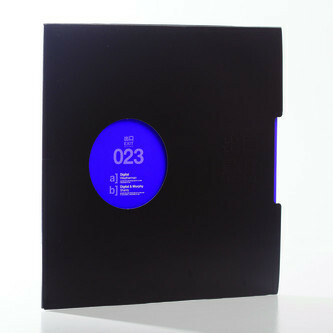 It makes a refreshing change from the techy electroid mandate of recent Exit releases, giving a dub rooted stance reinforced with his innately efficient production principles. 'Weathermen' finds a shoulder-rolling step-flex with billowing dread subs and skittering drums punctuated with pointillist snares. With Morphy on the flip they investigate a melodica-haunted dread vibe with militant halfstep snare rolls and lashings of echo chamber FX. RUDE!